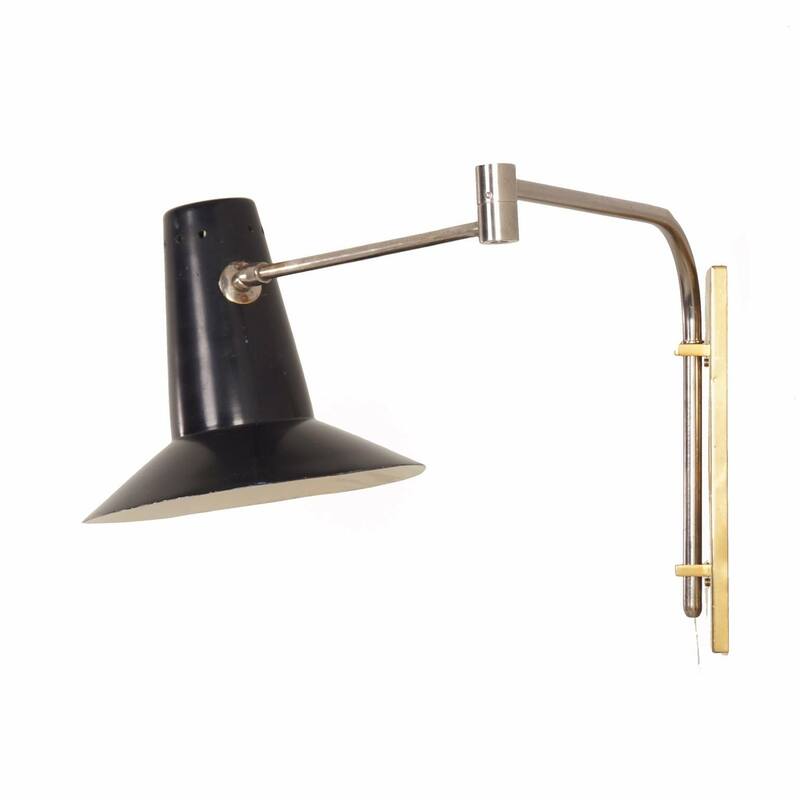 Adjustable Artimeta wall lamp made at the Dutch company Artimeta, Soest in the 60's. The lamp is completely adjustable and also the shade is adjustable. Nice combination, because of the brass wallplate, the nickel arm and the black shade. Typical are the holes in the black hood and the movable swinging arm. Considering its age in good and original condition, some minimal wear on the edge of the shade (see pictures). Dimensions: h x w x d = 39 x 48 x 80 cm (fully adjustable). The diameter of the shade is 22.5 cm.